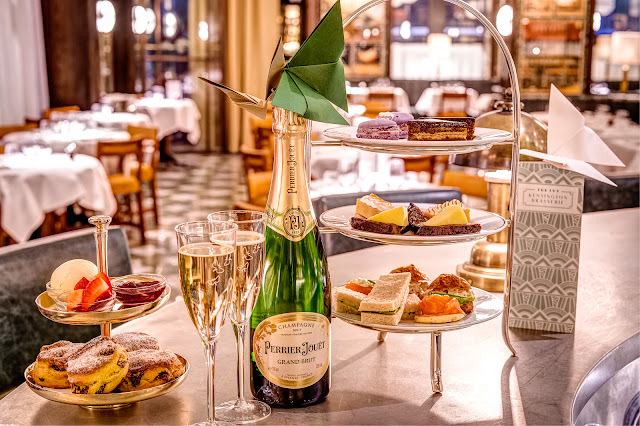 Just in time for Valentine's Day, the new opened Ivy Kensington Brasserie has launched its chic and delicious afternoon tea "Butterfly Kisses" in collaboration with Perrier-Jouët champagne. 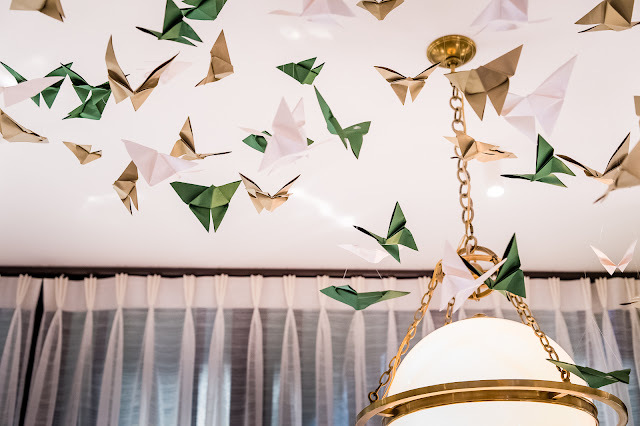 The ceiling is decorated with over 700 hand-made origami butterflies and each diner will receive their own butterfly with a surprise Valentine's message and a glass of the Perrier Jouët Grand Brut. 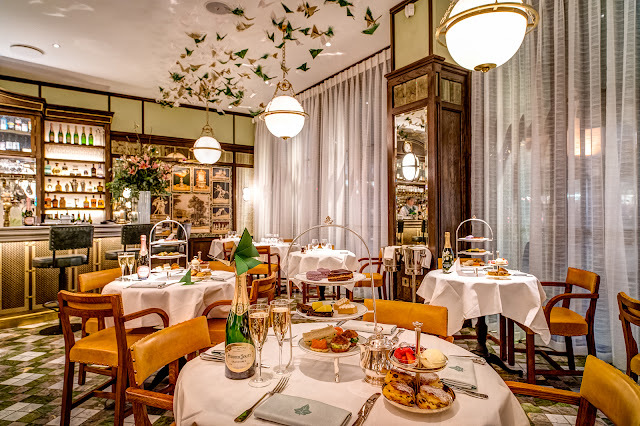 The afternoon tea is an array of mouth-watering savory bites such as cucumber sandwiches, smoked salmon and cream cheese blinis and truffled chicken gougères - which are to die for! Afternoon tea wouldn't be the same without scones and I really enjoyed these warm fruit scones, accompanied by a selection of lovey jams, fresh strawberries and lashings of clotted cream. Last but not least a gorgeous selection of delicate patisseries awaits its diner, which includes miniature lemon meringue pies, chocolate opera cake, lavender and almond macaron and fruit cake with cheese (a unique but very tasty combination). This afternoon tea is the perfect occasion to treat your loved ones for Valentine's Day or the the perfect spot for a girly catch up!